Auctions marked with this icon use bid-Kit software not connected to our Network. You have to register and login with a new account fulfilling the registration form. See also For collectors page. 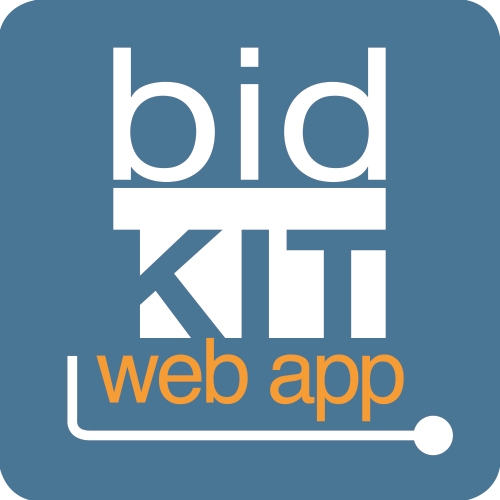 bid-Kit Web App can be used both as a primary application for auction management, and as an accessory platform in combination with other systems; it also has automated tools for importing and exporting users and bids. Please note that all auctions of Bid Inside Network also are managed with bid-KIT software. See also bid-KIT website for more information.